Maritzburg United held off a late fight-back from Polokwane City on Friday night to earn a 2-1 Absa Premiership win at a wet Harry Gwala Stadium. Pogiso Sanoka had put United ahead in the seventh minute before Siphesihle Ndlovu doubled the advantage in the 75th minute, with the visiting side scoring late on through Muhammad Sulumba. The Limpopo club had the first chance of the evening in the opening minute through Puleng Tloane, but he fired well over goal. Maritzburg had a chance when Siyanda Xulu had headed over and then took the lead when Sanoka reacted well to stroke the ball in from close range after a goal-mouth scramble following a Deolin Mekoa cross, with both Mohau Mokate and Andrea Fileccia also in the mix. Fortune Makaringe then threaded in a trademark ball for Fileccia, but he kept out by George Chigova before Mekoa curled an effort inches wide. After Rise and Shine had ended the first half strongly, the advent of the second half saw Mokate shooting at Chigova before Ramagalela drew a save out of home keeper Richard Ofori. The Team of Choice had what seemed like a great call for a penalty turned down after Thapelo Tshilo seemed to have taken down Mekoa, who was instead booked for diving. At the other end Ofori was busy too as he kept out Walter Musona at the near post before Mekoa missed a good chance for the hosts on the counter when he dragged a shot wide. The second goal came at a good time for United as clearance located the willing Ndlovu, who ran the angle superbly to hold off a challenge before coolly slotting past Chigova - the new Bafana Bafana recruit showing great composure. 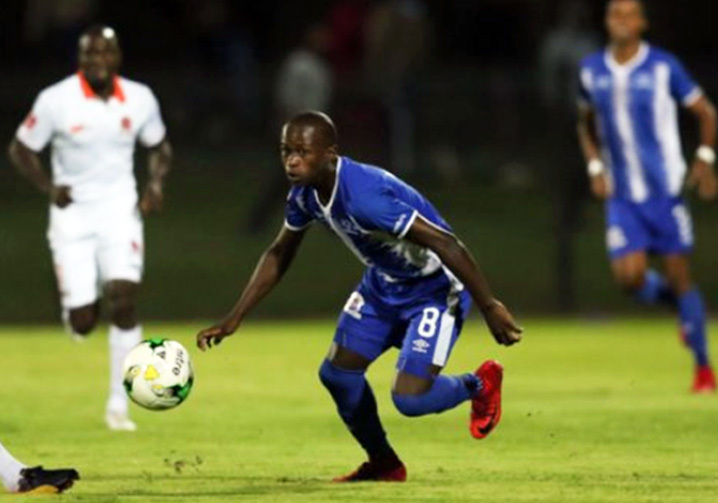 The Limpopo side kept Maritzburg on their toes when Sulumba scored from close range in the 87th minute, but United were able to hang on for their first win against Polokwane City in four years. Maritzburg: Ofori, Onyango (De Reuck 26’), Xulu, Sanoka , Makaringe, Maboe, Ndlovu, Shandu, Mekoa, Fillecia (Kunene 70’), Mokate (Twala 90+2’). Subs: Mpandle, Thlone, De Reuck, Kunene, Atouba, McDonald, Twala. Subs: Ndlovu; Ravhuhali; W. Maluleke; Miya; Mngomezulu; Mbonani; Chungwa.